In stock - low quantity. Order in the next 8 hours and it will go out today! This is a classic that you should know about. 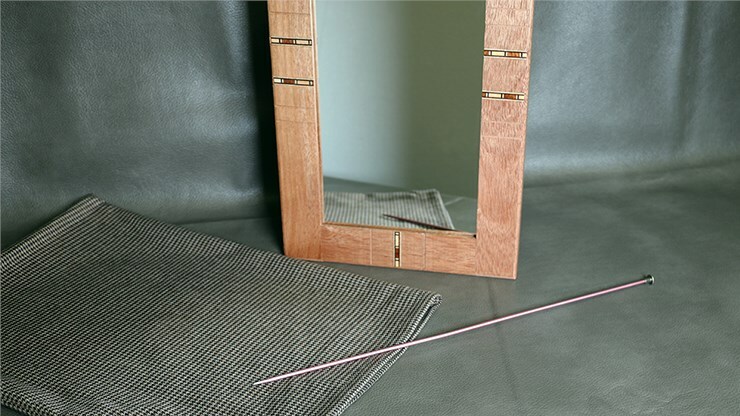 Needle Through Mirror, also known as the Flexible Frame, allows the performer to place a wood-framed mirror into a cloth bag and, upon command, push a standard knitting needle through the solid mirror. Astoundingly, the magician then BENDS the solid frame without destroying the frame or mirror. 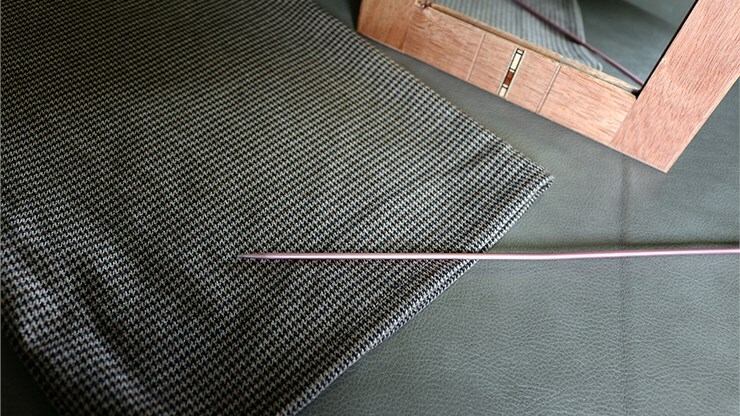 It is removed from the cloth in one piece and totally intact - unbroken! 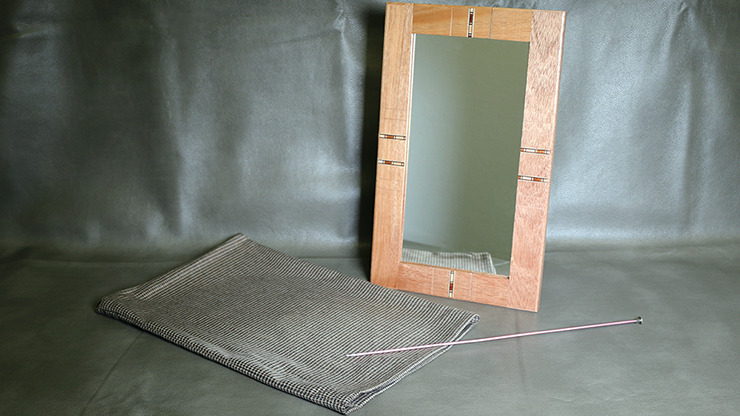 Included with this effect are the framed mirror, a cloth carrying bag, and a knitting needle in a protective case.